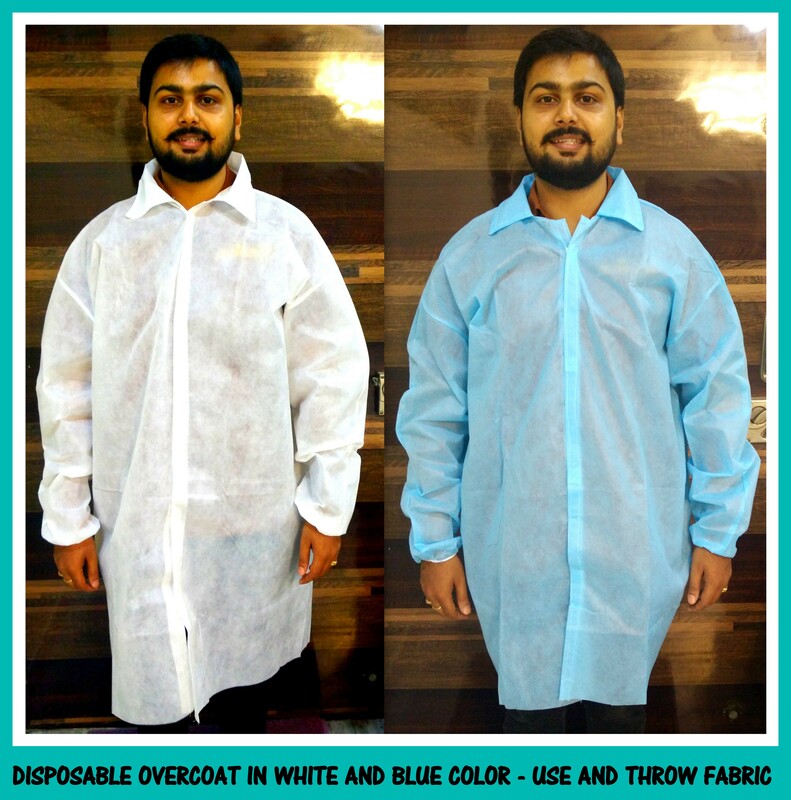 Disposable overcoats for one time use in Chennai !! RSM Uniforms now have stocked disposable overcoats for one time use in Chennai. These overcoats are made from 45 to 50 GSM Non woven material and has elastic provided on the sleeve end and welcro tapes to button up the front. These overcoats of disposable form are light in weight and can be used and discarded after one time use. For your requirements of Disposable overcoats in Chennai please feel free to call us now. Other than disposable overcoats we can also provide disposable coveralls . What are you waiting for call us now and we would be glad to assist you.